The resulting GetSignature page that the code in this post will create. // at this point you can edit any fields you have on the parentId. // attachment on the record. Note that the “objParentId” is set by the Component attribute on the Visualforce Component, and the “saveSignature” method constructs the sObject from the parentId you supply. Also – you can add any additional field updates you may require. As you can see, you can simply set the parentId as a parameter in the URL and use that in the component. This helps keep the pages more dynamic if you don’t want to bind them to a specific Standard sObject controller (i.e. StandardController property). Also note that you have to have docType="html-5.0" in order for the canvas element to work properly. 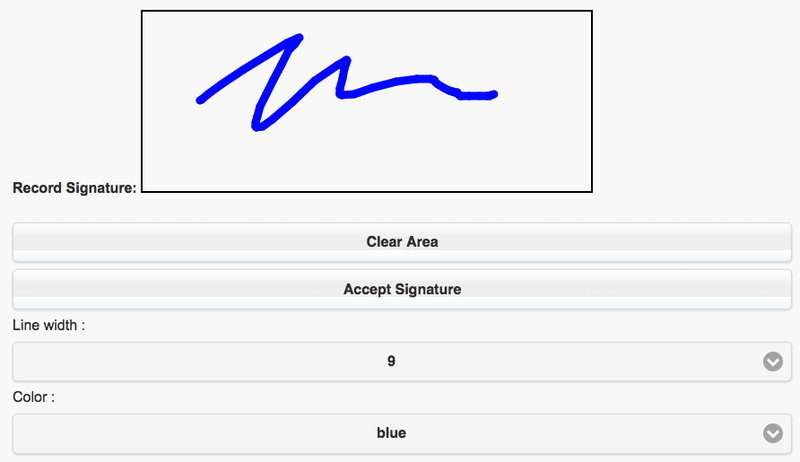 The signature formula field now shows the signature captured on the canvas. 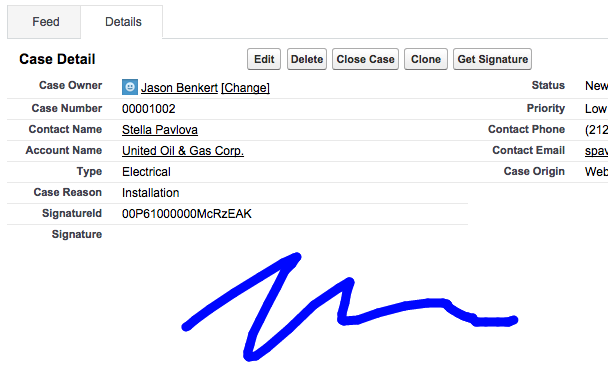 Can you share the signature formula field used to display the captured signature.